Through many years of cooperation, associate professor in modern dance Monique Skavlan Sunderland and composer and musician Peter Lodwick, have developed a unique understanding of the symbioses of music and modern dance. 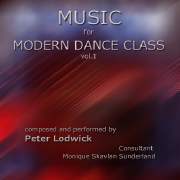 This, combined with the fact that specialised music for modern class is almost non existent, was the main reason for creating “Music for Modern Dance Class”. The CD contains 28 tracks with pure piano pieces and orchestrated pieces of different genre. Composer, performing artist, artistic director of the Norwegian dance company Dans & Toner. 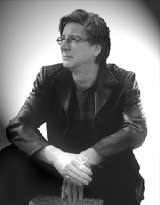 A graduate of the Royal Academy of Music, London, Peter has composed music for over 50 ballets, numerous theatre plays, musicals and films, both in Great Britain and in Norway. He has also composed both for the BBC and the Norwegian Broadcasting company NRK, and his work has been presented at many festivals. Because of his unique understanding of movement, he is a much sought after composer and accompanist for both modern and classical dance. Professor and head of BA in modern dance at the Oslo National Academy of the Arts, Norway. Monique received her education at Egon Wengs Ballet School and the Norwegian National Ballet School. Further studies at a number of international schools in Paris, London and New York amongst others. She has received many scholarships and grants. She has choreographed numerous ballets for the Oslo National Academy of the Arts, and created 3 syllabuses in modern dance. Since 1994 she has run her own ballet school. Monique is also a Bachelor of Law.